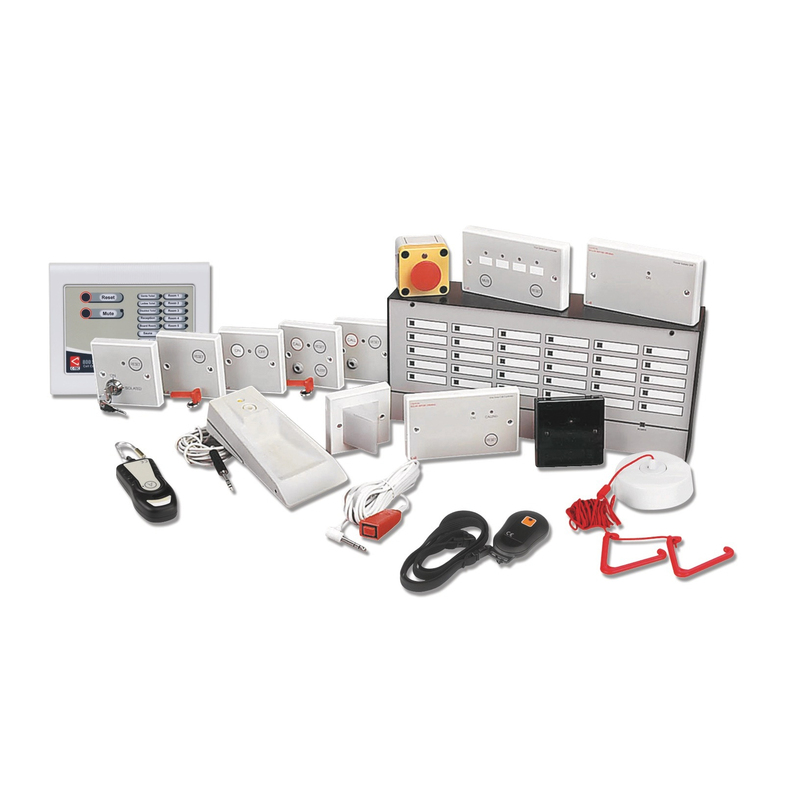 Includes a 12V 140mA PSU, rechargeable standby battery, red zonal alarm LED, volume adjustable sounder, volt-free relay and a link selectable ‘Call Accept’/Reset button. Fit the internal PLK1 link to the right for Call Accept, left for Reset or remove for no function. Includes twin red ultra-bright LEDs and an on-board sounder. 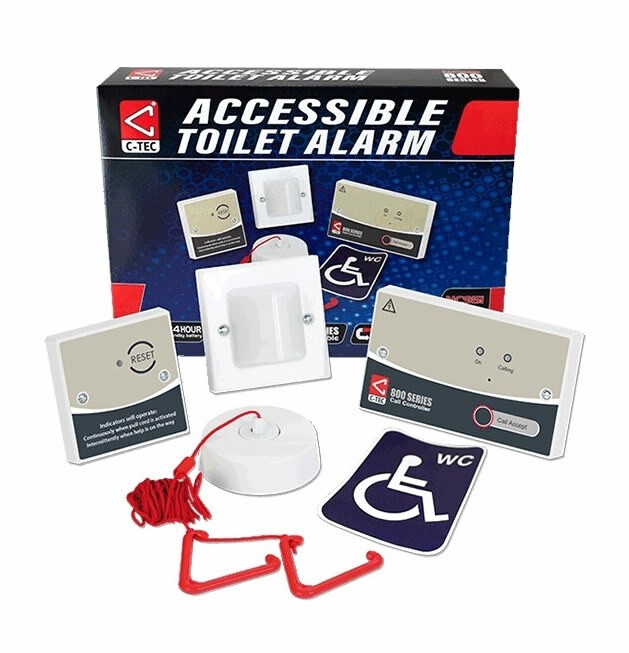 Includes a RESET button with Braille text, red reassurance LED & reassurance sounder. Includes two open-sided triangular bangles, 3m of cord and a red reassurance LED. Current: 140mA; Volt-free relay contacts (NO/C/NC). Indicators: Red alarm present LED; Green supply present LED (flashes green when battery back up is active in the event of mains failure). Controls: ‘ACCEPT’ Button (link selectable for reset or no function). 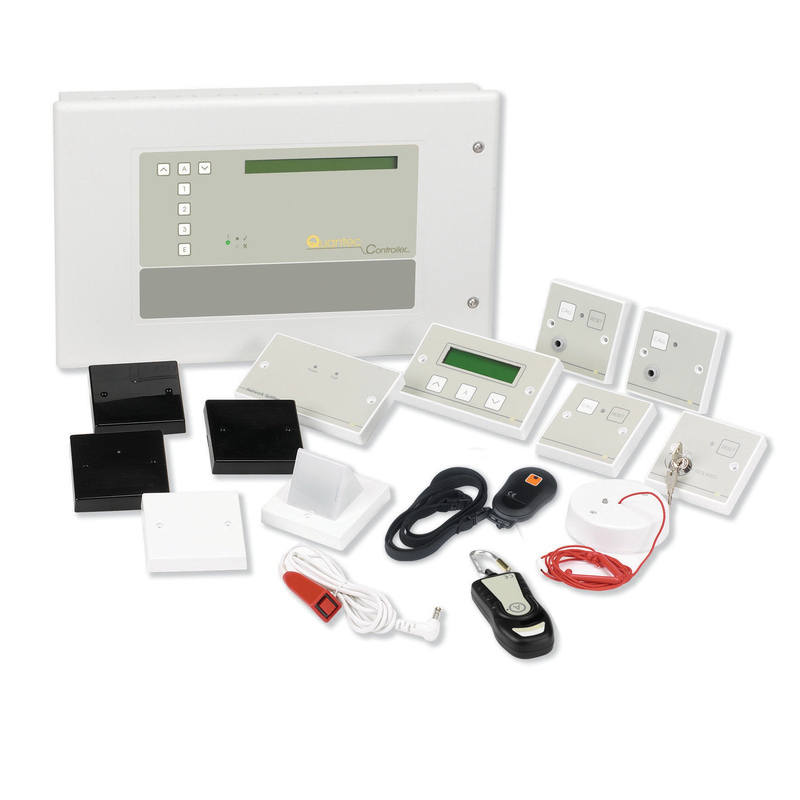 IP Rating: IP41 when correctly installed. Dimensions: 147 x 87 x 39mm (WxHxD). Mounts on 25mm UK double gang back box. Pull cord: Generates an alarm call when activated. Indicators: Red reassurance LED active in alarm/accept. Dimensions: 93mm diameter x 27mm deep. Surface mountable. Connections: Signal, -Ve and +Ve. Indicators: Dual ultra-bright red LEDs active in alarm. Dimensions: 87 x 87 x 68mm (WxHxD). Mounts on 25mm UK single gang back box. Connections: Signal, -Ve and +Ve. Indicators: Red reassurance LED active in alarm/accept (constant/intermittent). Sounder: Active in alarm/accept (constant/intermittent). Dimensions: 87 x 87 x 24mm (WxHxD). Mounts on 25mm UK single gang back box.